Yesterday a Genoa-supporter wrote on the internetsite: www.grifoni.net that he would buy 2 season-tickets if Genoa after the 9 already bought players also would buy Giandomenico Mesto of Reggina. Tomorrow he can go to the ticket-office in Stadio Luigi Ferraris, because this afternoon Mr. Preziosi again made coach Gian Piero Gasperini happy. Mesto is 26 years old and can play both as right defender and right midfielder. The experienced player (the last 5 years he played 165 matches in Serie A) played last season with Udinese after 4 years with Reggina that bought him back of Udinese (with the money of Genoa ?) yesterday. 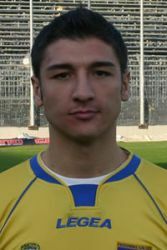 Besides 165 matches in Serie A, Giandomenico also played 3 matches in the Italian national team. 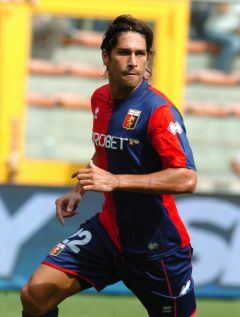 As a part of the deal defender Santos and midfieldplayer Fabiano leave Genoa to play with Reggina next season. Besides the above mentioned players Genoa also bought back the last year sold 50% of Fernando Forestieri. Genoa now again completely owns the big talent that is hired to Siena next season. Probably Abdelkader Ghezzal goes with him to Toscany. 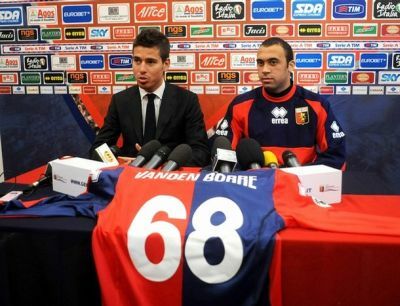 The 20 years old talented Belgium defensive midfieldplayer Anthony Vanden Borre who arrived last January with Genoa and played only 164 minutes in the Rossoblu team last season stays with Genoa. Today Genoa’s president Enrico Preziosi bought the other 50% of the player which was still in the hands of Fiorentina. Coach Mr. Gasperini believes in the progression of the French-speaking ex-player of Anderlecht and Fiorentina. Let’s hope as the official Genoa supportersclub in Belgium (and Holland) we can have an interview with big Anthony next season. After the arrival of Francesco Modesto (26 years), Davide di Gennaro (20), Andrea Gasbarroni (26), Alessandro Potenza (24) and Abdelkader Ghezzal (23) this week arrived again 2 new players: Salvatore Bocchetti (21) and Giuseppe Biava (31). The young talented defender Bocchetti, bought from Frosinone in Serie B, signed a 5 year contract with Genoa. This summer he plays together with Domenico Criscito in the defence of the Italian team at the Olympic games in China. Giuseppe Biava arrived as a part of the deal of Bovo with Palermo. The 31 years old defender played the last 4 seasons in Serie A with the pink team of Sicily. Monday finally Raffaele Palladino arives at Genoa’s headquarters in Pegli to sign his 4 years contract with our club. Part of the deal with Juventus is also the remaining of Matteo Paro (definitively) and Domenico Criscito (another year) with Genoa and probably the arrival of the striker Ruben Olivera. 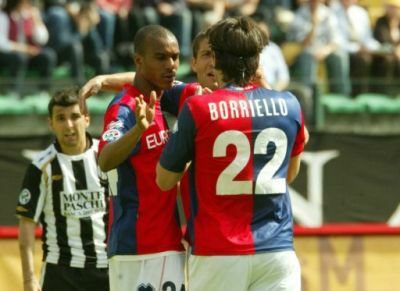 Last summer Genoa changed with Siena one of the biggest talents in the world: Fernando Forestieri with Abdoulay Konko. Of course the Genoa-supporters reacted furious, but Mr. Gasperini and his staff were right. Our 24 years old French midfielder played a fantastic season in Serie A and a lot of big clubs wanted to buy him. F.C. Sevilla did the best offer: € 9,3 millon, so Abdoulay plays in the Primera Division next season. To close the circle the ownership of Forestieri returned this week completely to Genoa. Besides Konko also Cesare Bovo left Genoa this week. The defender returned to his former club Palermo that in return pays € 3 million and the 31 years old defender Giuseppe Biava to Genoa. With the sale of Borriello, Konko and Bovo Mr. Preziosi earned over € 21 million and the arrival of Davide di Gennaro and Giuseppe Biava. Our supportersclub is founded on Tuesday 15th June 1998, today exactly 10 years ago. 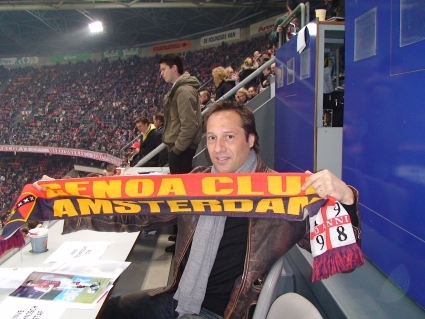 That day we went to the office of Genoa in Via Roma to ask permission to start an official Genoa supportersclub in Holland. 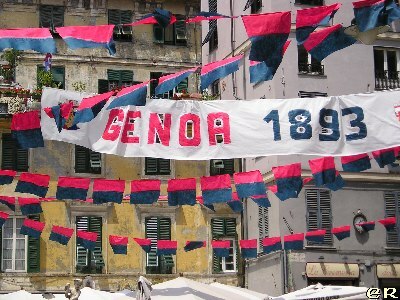 Mr. Gianni Blondet gaves us permission (and a videotape with the history of Genoa) and our club was born. Now 10 years later we have 50 members and an internetsite with over 20.000 visits by 10.500 visitors in 10 months. Yesterday the 5th new arrival was bought by Mr. Preziosi. After Modesto, Di Gennaro, Gasbarroni and Potenza this time 23 years old France striker Abdelkader Ghezzal arrived from Crotone, the former club of Mr. Gasperini. After 18 goals with Pro Sesto in Serie C-1 in the season 2006-2007, last season Ghezzal scored 20 times with Crotone. The young striker is 1.83 high and played in the youth of Olympic Lyon. It is almost sure that Genoa found a substitute to Abdoulay Konko: the 24 years old defender of Fiorentina, Alessandro Potenza. 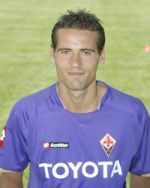 The young defender is raised in the youth of Inter and was rent to Ancona, Parma, Chievo (all in Serie A) and Real Mallorca (Spain) before he was transfered to Fiorentina in the summer of 2006. The last 2 seasons he played 34 matches with the purple team and scored 1 goal. 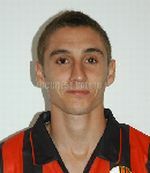 The former youth-international of Italy only has to pass the medical test before he is a Genoano. In the meanwhile the transfer of Konko to Inter has stopped because Mr. Preziosi refused the offer of the Italian Champions and now it looks like Konko goes to Udinese. Also the transfer of Raffaele Palladino to Genoa probably failed, because after Juventus and Genoa finally had an agreement (including remaining of Matteo Paro and Domenico Criscito with Genoa) the talented striker refused the offer of Genoa. Will be continued..
After the 3-0 victory of Holland against Italy the whole country gets crazy and hope (and believe) that the Dutch can be European Champions again, 20 years after 1988. 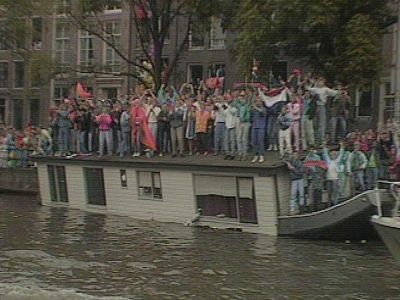 Only the owners of a living-ark in the Amsterdam canals don’t like the idea of a new victory of Holland, which you can understand if you see the picture below of the party in 1988. Tonight Mr. Enrico Preziosi spoke on the local televisionchannel Telecitta about the transfermarket. He confirmed that untill now Genoa has sold Borriello to Milan and bought Modesto (Reggina), Di Gennaro (Milan) and today Gasbarroni (Parma). Every day the newspapers are full with stories and speculations about the central-forward that substitutes Marco Borriello. The last days they wrote about Pazzini (Fiorentina), Bianchi (Manchester City), Maccarone (Siena) and Bjelanovic (Torino), but tonight Mr. Preziosi confirmed his trust in Lucho Figueroa as our central-forward in the season 2008-2009. Monday 9th June the ex-Genoa strikers John van ‘t Schip and Marco Borriello play against each other in the first match of Group C: Holland-Italy. It is almost sure that both ex-Genoani start besides the field on the bench with the possibility that Marco comes between the lines to try to beat the coaches of Holland: Marco van Basten and John van ‘t Schip. As Dutch we hope that our member of honor Johnny (il bello) van ‘t Schip wins the match by 3-2 with 2 fantastic Italian goals of Super Marco Borriello. 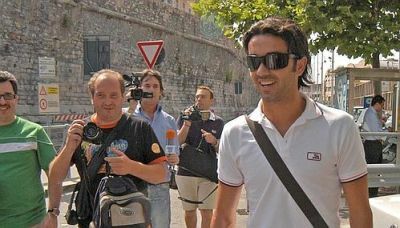 It is almost sure that Andrea Gasbarroni is the 3rd new arrival of Genoa this summer. After Modesto and Di Gennaro again a midfieldplayer. Gasbarroni is raised in the youth of Juventus (with Gasperini) and afterwards he played with Varese, Sampdoria, Palermo and Parma. Last year the almost 27 years old offensive midfielder played 26 matches and scored 5 goals. In his career he played 103 Serie A matches and scored 16 times.